Sears CEO Eddie Lampert is hopeful the struggling retailer can somehow raise some cash to keep the company's turnaround efforts alive. Lampert, who is also the company's largest shareholder, has proposed that Sears Holdings sell additional assets and restructure its debt. In a public filing ESL, Lampert's hedge fund, said the retailer "must act immediately to have sufficient runway to continue its transformation," suggesting the company is running short on time. "We continue to believe that it is in the best interests of all stakeholders to accomplish this as a going concern, rather than alternatives that would substantially reduce, if not completely eliminate, value for stakeholders," ESL said. 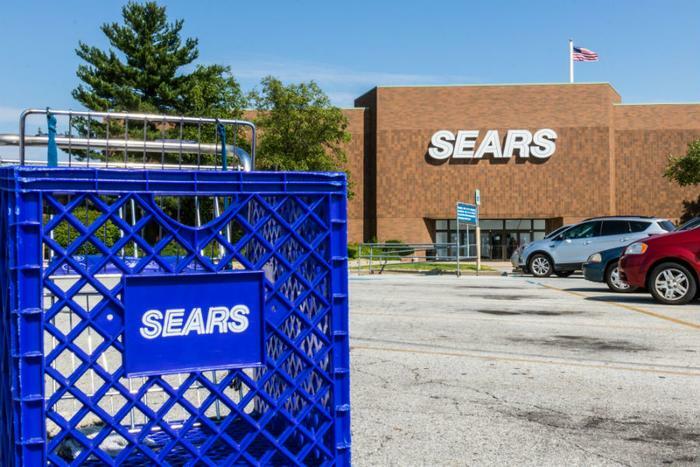 The Sears Holdings board of directors has acknowledged receiving the proposal, confirming it regards liability management and some real estate transactions as a possible course of action. "The Board has directed the company's management and its legal and financial advisors to work closely with ESL, its advisors and the company's other stakeholders to seek to pursue liability management transactions of the nature described in the proposal, subject to advice of the company's legal and financial advisors and approval of any final transaction by the Related Party Transactions Subcommittee of the Board and the full Board," the company said in a statement. Lampert's hedge fund underscores the serious nature of the retailer's problem. It warns the company is running out of cash and faces a $134 million payment due October 15 and reserve requirements on October 1. The proposal from ESL suggests Sears Holdings sell $3.22 billion in assets, including $1.47 billion in real estate. Part of the deal includes ESL buying the real estate if it hasn't sold after 12 months. Sears' board said it would consider the proposal but added, "There can be no assurance that any transaction will be consummated or on what terms any transaction may occur." The company has closed dozens of stores so far this year and has more targeted for closing by November. However, the emerging consensus on Wall Street is that it won't be enough to stop the flow of red ink. Sears Holdings stock fell nearly 9 percent Monday and investment site Seeking Alpha reiterated its sell rating, concluding, "We do not expect the company to be able to emerge from the current situation characterized by: comparable sales decline, unsustainably high operating expenses, and high debt levels."